In a recent article for waleshome.org, Dylan Moore, founder and co-editor of the erstwhile print magazine The Raconteur (which will now appear in an online format), laments the difficulties and risks of those who would seek to establish and develop a small literary magazine in a climate that would appear to care little for such. I have never founded a literary magazine, so Moore's unenviable struggles in this department are ones that I cannot (with some gratitude, for that) comment on. And, yet, I understand all too well the challenges facing those who wish to develop and sustain audiences. New Welsh Review is the very grateful recipient of funding from the Welsh Books Council which, to those on the outside, may seem, I suppose, rather like good times. But I am rightly accountable to our funder for our output - its remit and, importantly, its reach. This brings with it unique pressures. One of my first tasks as editor was to put New Welsh Review out there in the world - as a great brand - on the blogosphere and on Facebook. In considering the fate of The Raconteur, Moore marvels at the disparity between the number of Facebook friends his magazine seemed to have swiftly acquired and the number of subsequent subscribers that equated to. He notes that while virtual friends are easy to secure, real friends - the ones who buy and value your product - are rather less easy to happen upon. And he's absolutely right in this. The figures don't add up. 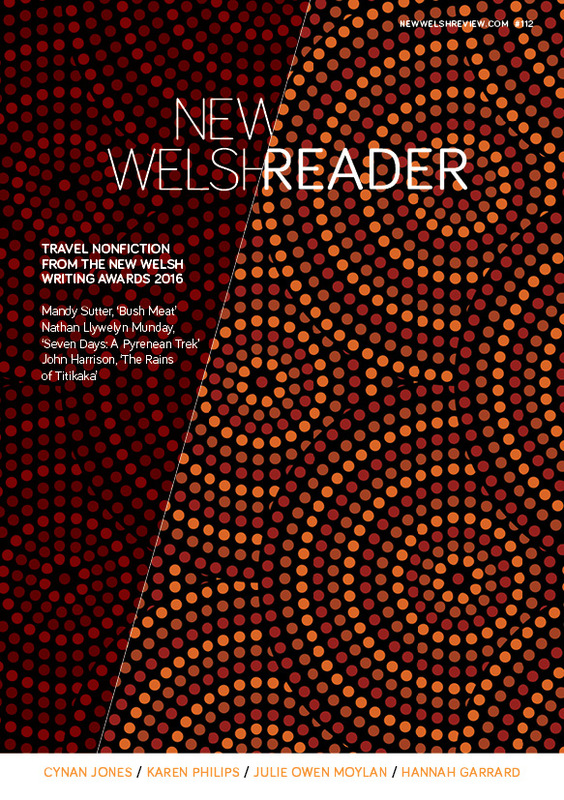 If every one of New Welsh Review's Facebook friends amounted to a subscriber, I'd be in a position to enlarge this magazine, to put more money into events and - an ideal close to my heart - to improve our payment rates for our many valued and high-quality contributors. A better deal secured for our audience, a better deal secured for our writers. And more opportunities for both. The disparity between ideals and engagement has particularly hit home following funding cuts to the arts and the very many valuable cultural organisations and outlets that now face the reality crunch. Petitions are doing the rounds at a breathless rate, appearing in my inbox daily. Support this. If you care. Undersign. Enter your email here. One important point is missed in all this genteel and comfortable armchair outrage. The success of the arts in Wales, and in the wider UK, is not simply a matter of subsidy on the part of the government. It's about participation. Participation at the most fundamental level. If we, as consumers, truly care about the arts - well, why not spare a dime, brother? The arts meaningfully thrive through transaction, not simply subsidy. The healthy transaction between artist(s) and an audience. So many times I've read the roll call of names on petitions and wondered: if so many people actively care about this project, then why would a salami-slice funding cut prove so catastrophic, exactly? Presumably, while many people may theoretically value it, they are not quite willing to pay for it with their hard-earned cash or, in the case of theatrical productions, with their time (which is just as crucial a factor to those making the grown-up funding decisions, after all). It appears that petitions, rather like Facebook, reveal more about the people we would want to be than the people that we actually are. And I count myself among that, alas. It is not enough for those who claim to be shaping the culture to rest on their laurels and simply exist: sacred cows in the age of OK! magazine. We all have to be working hard for our audiences: with passion, commitment, new perspectives. Similarly, it is not enough for those who care about culture to employ magical thinking. Theatres, publishers, magazines and, yes, their talented, underpaid corps only exist if they are able to play to a crowd. I'd like to see less petitions, however well-meaning, and more direct action. If we care: let's engage. Ask not what funders can do for the culture, ask what we can do for our culture. Make the big difference today. Be a part of it. And since you are reading this, now, I want to thank you for doing just that.